Notcutts is a family-owned business founded in 1897 by Roger Crompton Notcutt. Over the years, Notcutt family members pioneered accessible gardening for all, making a wider variety of plants available to grow in any garden. Meet the family members who made Notcutts what it is today, now in its fourth generation of family ownership. Click here to read more about the history of Notcutts. Since 1897 Notcutts has helped bring gardens and homes to life with fresh ideas, generations of expertise and friendly advice. Still family-owned today, we continue to hand-pick our products, carefully selecting each one for our customers to create a garden and home that’s perfect. Everything we do at Notcutts is shaped by three core values: Passion, Inspiration and Expertise. Passion for gardening, the natural world, our customers, employees and the communities in which we operate. Inspiration gained from the beauty and enjoyment of our gardens. Expertise we offer to allow others to enjoy their gardens. We believe in doing things properly, and in the right way. At Notcutts, we employ a motivated, empowered, skilled and diverse team that work in a safe environment. We would like all of our employees to enjoy and take pride in where they work. 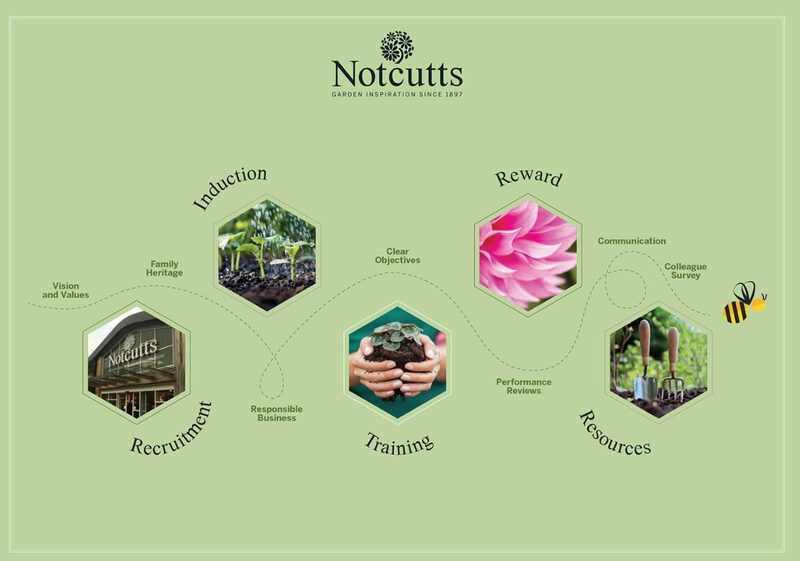 We believe that our people make us successful and in recognition of this, we provide a number of benefits to help our employees to continue to enjoy working at Notcutts.